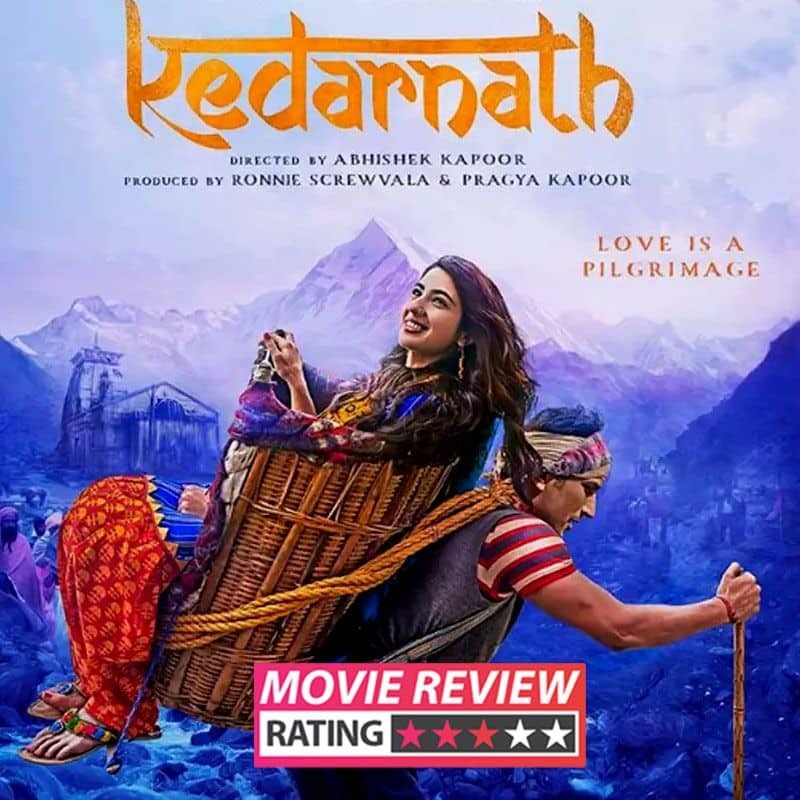 Set in the backdrop of devastating floods in the himalayas where the hindu shrine of Kedarnath is situated , this film showcases an inter religious love story between Mandakini ''Mukku'' Mishra ( played by Sara Ali Khan ) and Mansoor Khan ( played by Sushant Singh Rajput ) . Mukku is an upper caste hindu , a brahmin . Mukku has a massive chip on her shoulder because a suitor has rejected the girl he was first engaged to---her sister , and chosen her for marriage . Her father ( played by Nitish Bharadwaj ) has forced her to accept , but she has a powerful rebellious streak within her that seeks revenge on her prospective husband who seems ready to force this relationship on her despite her opposition . The person she chooses to romance in order to defy her fiance and society is neither of her religion nor her class . Mansoor is a porter who carries pilgrims on his back up the trek going to Kedarnath temple high up the mountain . So Mukku takes the lead in advancing the relationship and soon falls really in love . Predictably , all hell breaks loose as Mukku's parents and her fiance ( played by Nishant Dahiya ) come to know about the love story and Mansoor is beaten by the fiance's friends . But it seems this act has incurred the wrath of Lord Shiva whose worshipper was Mansoor despite his different religion , and a different kind of hell breaks loose as the heavens explode in fury and torrential rains bring disaster on the whole region by totally flooding it . The devastating floods and the fury unleashed by the flooding water have been well pictured in the movie , and overall photography of the snowcapped himalayas is beautiful with superb shots of roads and rivers and streams winding through the high mountains . But the movie showcases the hindus as intolerant , with hindu women initially refusing rides to Kedarnath by muslim porters . Mansoor is repeatedly reminded of his religion by Mukku's fiance and told not to interfere in decisions regarding any development in Kedarnath because of his different religion . Sara Ali Khan looks good and pretty much like a slimmer and more delicate version of her mother Amrita Singh . She acts in the same fiesty style of her mother . Sushant Singh Rajput is not convincing enough . Worse , he is outclassed in both in the acting and the looks department by the person playing his rival---the tall and strapping Nishant Dahiya . Background music is decent and I liked the songs . Those who are frowning on a love story between an upper caste hindu girl and lower class muslim will get some cold comfort as the love story does not get consummated ; Mansoor dies saving others including Mukku and her father from Floods . Three stars out of five . Last edited by ashdoc; December 7th, 2018 at 08:00 AM. I did not know this movie existed, and now you have saved me from wasting couple of hours watching drivel.